Abricotine is an open-source markdown editor for desktop. Abricotine was added by brrd in Jan 2016 and the latest update was made in Aug 2017. The list of alternatives was updated Mar 2019 There is a history of all activites on Abricotine in our Activity Log. It's possible to update the information on Abricotine or report it as discontinued, duplicated or spam. Alternatives to Abricotine for Mac, Windows, Linux, Web, iPhone and more. Filter by license to discover only free or Open Source alternatives. This list contains a total of 25+ apps similar to Abricotine. The best markdown editor I've used so far, I really appreciate the one view to edit & see result at the same time, I can't use those double pane editors. Great job brrd ! The Editable Preview Mode is nice, but it still displays most of the source code. For example, hashes, asterisks, backticks, etc. 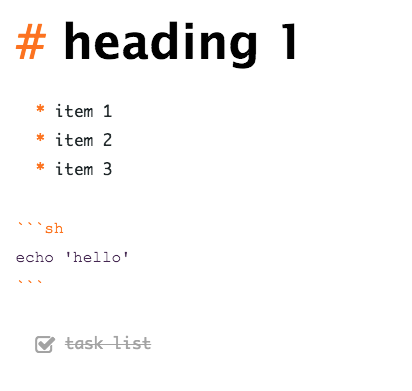 Only special formats like Task List is fully rendered without source code.